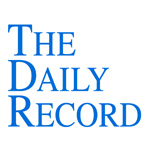 This week's Daily Record column is entitled "The Internet Revolution--Part 1." (Over the next month, I plan to discuss the technologies and the historical context that lead to the mass adoption of cloud computing. This week, our exploration begins in 1995). The Internet has been the most fundamental change during my lifetime and for hundreds of years. Someone the other day said, "It's the biggest thing since Gutenberg," and then someone else said "No, it's the biggest thing since the invention of writing." On February 27, 1995, Newsweek magazine published an article written by Clifford Stoll entitled “The Internet? Bah! Hype Alert: Why cyberspace isn’t, and will never be, nirvana." In the article, Stoll, an astronomer and well known author of the book “Silicon Snake Oil—Second Thoughts on the Information Highway,” infamously predicted that many of the things made possible by the Internet that we now take for granted would never become a reality. In the article—which has been repeatedly passed around the Internet and mocked incessantly—Stoll proclaims that “Internet hucksters,” “computer pundits” and “visionaries” are devoid of “all common sense.” Stoll goes on to decry their vision of the future, calling it “baloney.” He mocks their claims that the Internet will make possible a world in which, among other things, people telecommute, purchase and read books online, book airline tickets and restaurant reservations via the Internet, interact in virtual worlds and engage in online commerce. As we now know, from our comfortable vantage point 16 years later, Stoll couldn’t have been more wrong. The vast majority of the predictions that he scoffed at have now come true. In little more than a decade, the Internet has literally transformed our lives, from how we conduct business to the ways in which we interact and connect with family and friends. The Internet has made it possible for us to shop online for virtually anything we can imagine. Workers telecommute. We use Voice Over Internet Protocol (VOIP) to make free international phone calls and conference calls. We hold online video meetings and attend online classes. The Internet has become a repository for all types of information. Indeed, for many, the Internet is our primary source of information, from news, current events, encyclopedic knowledge, and scholarly articles. Through the Internet, we connect to our social networks, communicate with our friends and family, and network with business associates. Virtual communities are now a reality as are multimedia classrooms and interactive libraries. The Internet is entrenched in our day-to-day activities and is an integral part of our lives on so many levels. The bottom line: Stoll was an outspoken—and very mistaken—critic of those who dared to dream of the possibilities of the Internet. He was the original Internet curmudgeon and bastion of old school ways, just like many lawyers today. 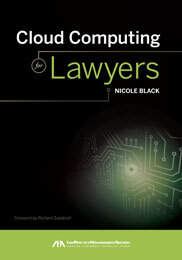 Like Stoll, rather than accepting and embracing change, a good portion of the legal profession remains firmly entrenched in the ways of decades past, staunchly resisting the inevitable changes ushered in by technology. Stoll, however, unlike lawyers of the 21st century, had an arguable excuse for his lack of vision: the technology hadn’t yet evolved. Next week, in Part 2 of this series, we’ll learn about how the technology changed, making the Internet revolution, and life as we now know it, possible.